sailmadison – Page 2 – Independence Through Connections. February Read: Turns out Seniors are the tech gurus! Update, 2/21/19: SAIL member Lois Curtiss highly recommended this book! She said it brought back a lot memories, as she has lived through all of it. Lois loves to read and loved reading this one! Looking for a great read for the month? Look no further than this lovely collection of stories collected by millennial author … Continue reading February Read: Turns out Seniors are the tech gurus! By Marketing Coordinator Meghan Randolph No matter what age we are, it's always good to keep the mind on its toes...(or something like that...maybe I need to look into some of these!) This terrific list from a senior living facility in Chicago gives a list of fun and productive ways to keep those wheels turning. … Continue reading Ways to keep your mind sharp! January reads: “Women Rowing North” and more! 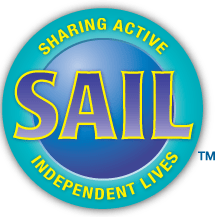 We at SAIL hope you're surviving the January weather! If you're cozied up at home and need some great reading, here are a few articles (some with book recommendations) that members have sent to us: Just click the title to be taken to the link. "The Joy of Being A Woman In Her '70s" - The New … Continue reading January reads: “Women Rowing North” and more!